Skypark homes for sale are part of a terrific residential neighborhood found in the southwestern corner of Scotts Valley. This area is ideal for working couples and active families, with plenty of nearby park space and sports facilities for outdoor activities. Skypark real estate listings primarily consist of moderately large, single family homes with terrific access to amenities. Many of these residences feature traditional and contemporary architecture, single car garages, and several bedrooms, which are ideal for growing families. Frontages are landscaped to include beautiful trees, manicured shrubs, and charming flower gardens. View Skypark homes for sale below or read more about the homes and community. Register with us for free and gain exclusive access to Skypark homes as soon as they hit the market. Opt-in and receive convenient alerts to new real estate listings that match your specific interests. Skypark real estate listings are modestly priced to reflect their convenience and size. This neighborhood was developed in the mid-1990’s, and many of the homes feature several bedrooms, high ceilings, classical and contemporary designs, and a mix of tile and hardwood flooring. Homes in this neighborhood are renowned for their great location and family-friendly features. Do You Have Questions About Skypark Homes? We're experts on Santa Cruz County real estate including the Scotts Valley community of Skypark. Call us anytime at: 1.800.226.4717. 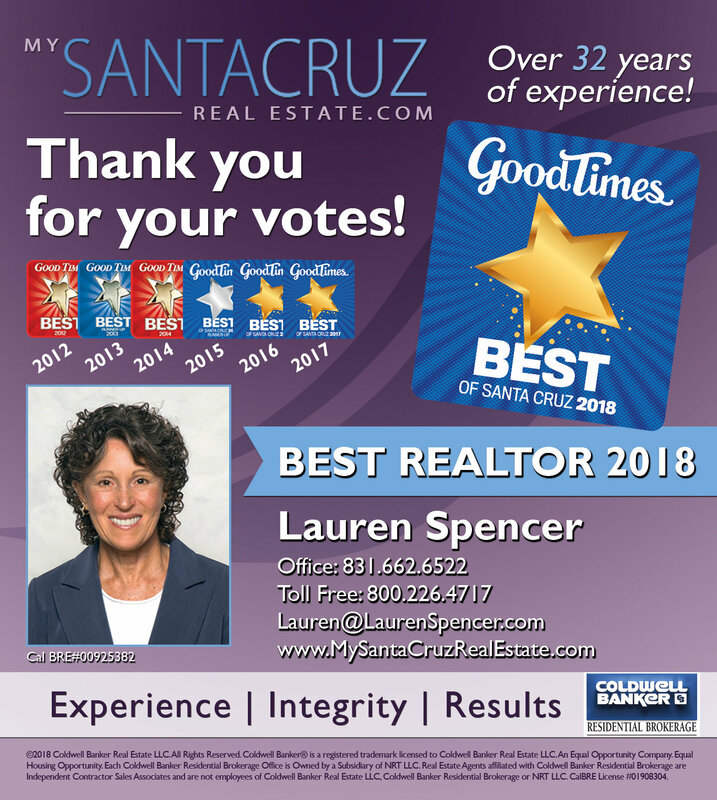 Lauren Spencer has been consistently voted best local REALTOR® in Santa Cruz and is always happy to offer her advice and expertise.